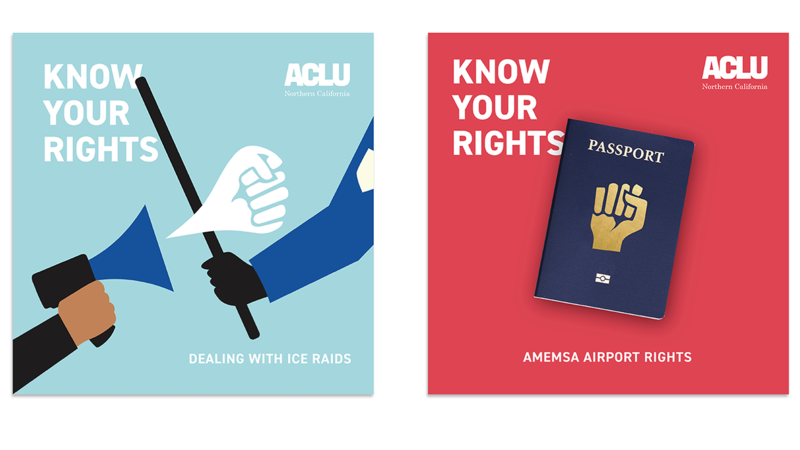 The ACLU is a nationwide non-profit organization that defends the rights enshrined in the US constitution. 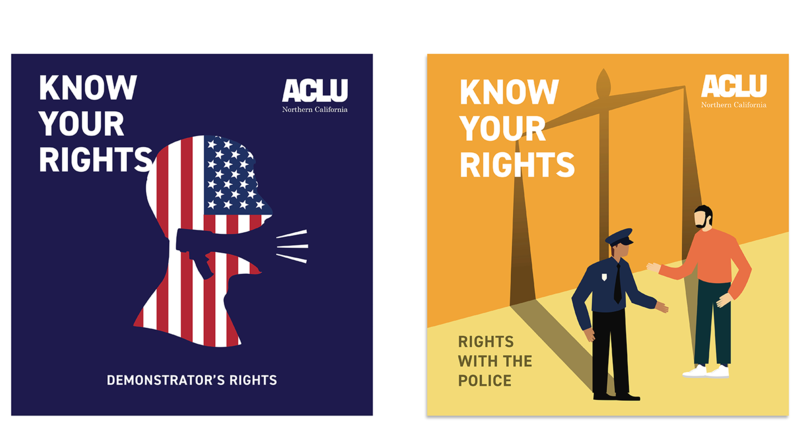 The ACLU of today continues to fight government abuse and to vigorously defend individual freedoms including speech and religion, a woman’s right to choose, the right to due process, citizens’ rights to privacy and much more. 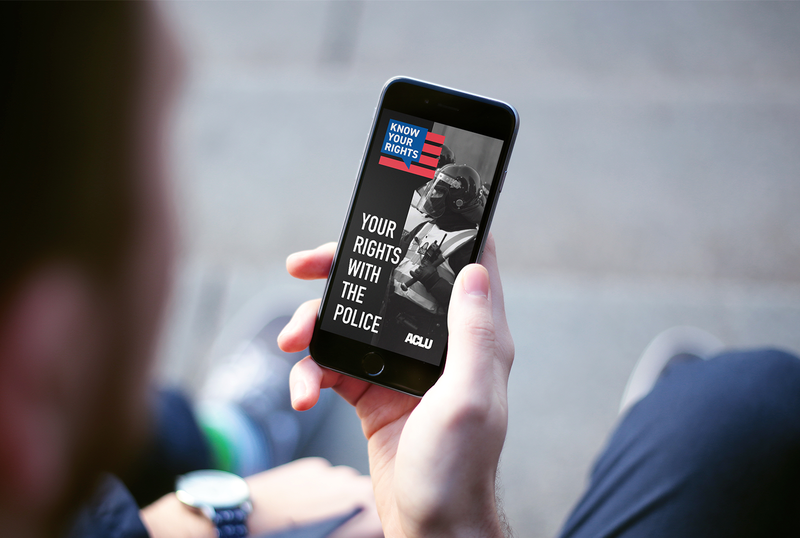 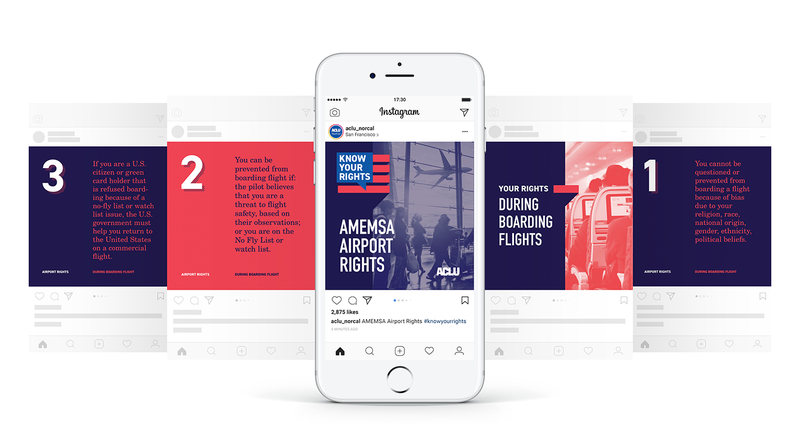 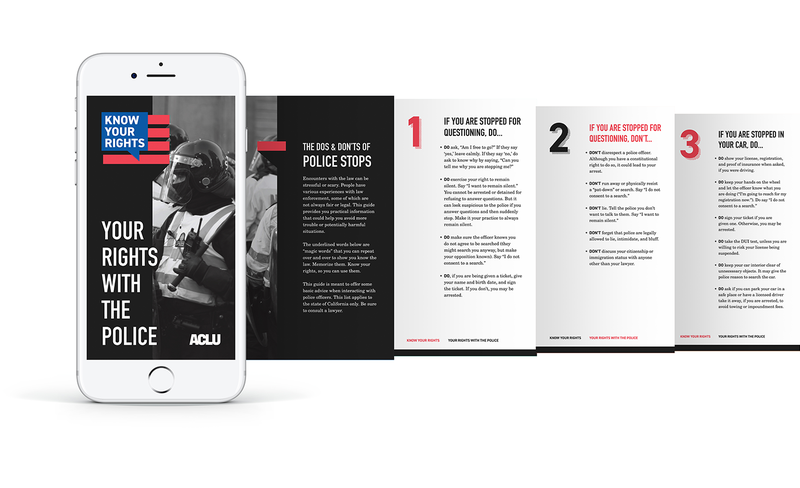 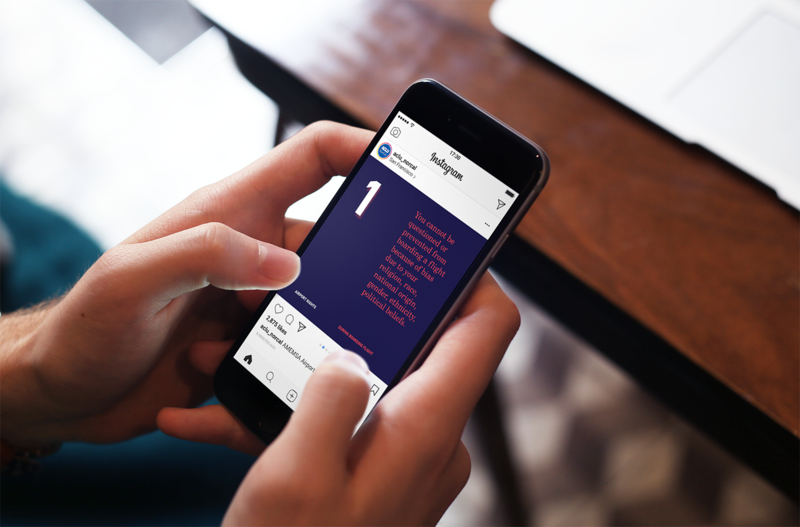 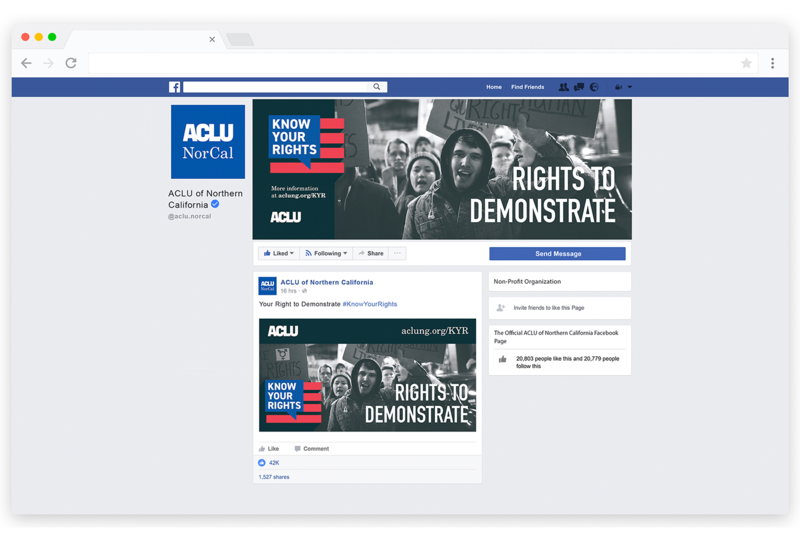 The Northern California chapter of the ACLU approached TBD* with the need of creating social media graphics to better promote the rights that people are entitled to, and to make sure people can protect themselves, their family, and their community.